An emergency dentist in 77098 is like an insurance policy. You probably don’t think about it much until you need it. But, when the time comes, you’re awfully glad it’s around. But even the finest dental care can’t replace good old-fashioned preparedness. With that in mind, here are some tips for handling an oral health emergency. Your teeth are like a Hollywood hero: tough on the outside, tender on the inside. The outside of each tooth is protected by a hard enamel-coated layer of a material called dentin. In fact, teeth are actually stronger than bone. But they’re not invulnerable. 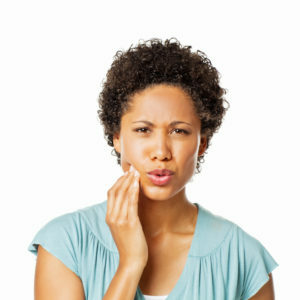 Mouth trauma as well as decay-causing bacteria can expose the sensitive inner layer to harm. Save the missing tooth or tooth fragment if at all possible. Wrap it in a moist cloth or paper towel and bring it with you to the dentist. If the part of the tooth still in your mouth is broken or jagged, then coat the sharp end with dental wax or any other soft, pliable, bio-friendly product you have on hand. A piece of sugar-free gum does the trick nicely. The idea is to keep the edge from cutting your lips or mouth. Take an over-the-counter pain reliever if needed to manage discomfort. Rinse your mouth out with warm, slightly salty water. Don’t drink it. This will help to ease the pain and prevent infection. Use a cold pack or some cloth-wrapped ice cubes to counter any swelling. Use gauze to control any bleeding that may occur. Replace the dressing as needed. Don’t have any gauze? A warm teabag can serve the purpose just as well. See an emergency dentist as soon as possible. What about Dental First Aid Kits? A mirror and flashlight to enable you to see what’s going on in your mouth. Dental wax to coat broken teeth. A clean cloth and a small bottle of water. A damaged or missing tooth is easier to treat if you keep the remnant wrapped in a moistened cloth until you reach the dentist. Temporary filling material. You can buy this purpose-made or make do with a piece of sugar-free candy. A magnifying glass. You may need this to find a lost filling or tooth. Clove oil and/or numbing gel to treat the source of the injury. Contact information for an emergency dentist in your area. We hope you never need the information provided in this post. But a little preparedness goes a long way. Knowing what to do if the unforeseen happens is a great way to enjoy added peace of mind. Dr. Donald F. Tamborello has been treating patients here at his Houston location for 32 years. He earned his dental degree from the University of Texas and holds master dental status from the Academy of General Dentistry. You can reach his office online or by calling (713) 666-0003.